Once you’ve finished decluttering your kitchen cabinets its time to make a start on those drawers! 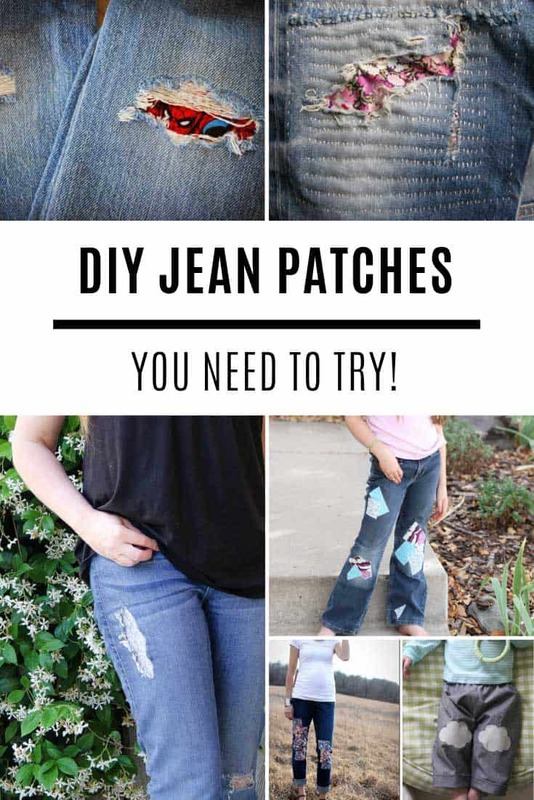 It can be harder to get the most out of your drawer space because they’re not usually very deep and contents tend to roll around and get jumbled up every time you open and close the door. 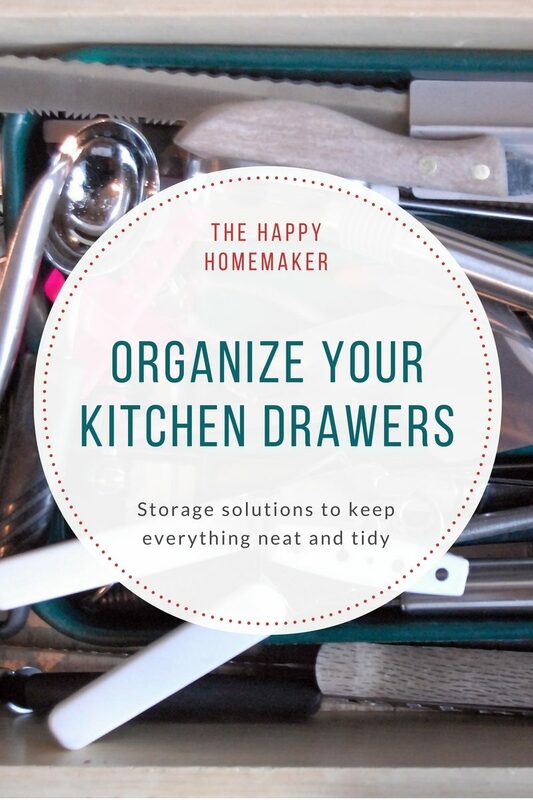 But don’t worry, by the time you’ve finished decluttering and picking out the best kitchen drawer organizers to suit your needs you’ll be able to lay your hands on what you need whenever you need it! 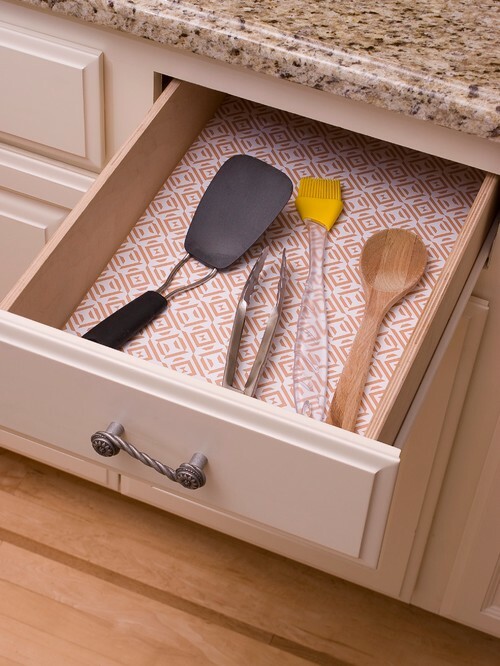 These adjustable dividers are a MUST HAVE for organizing your kitchen drawers like a pro! 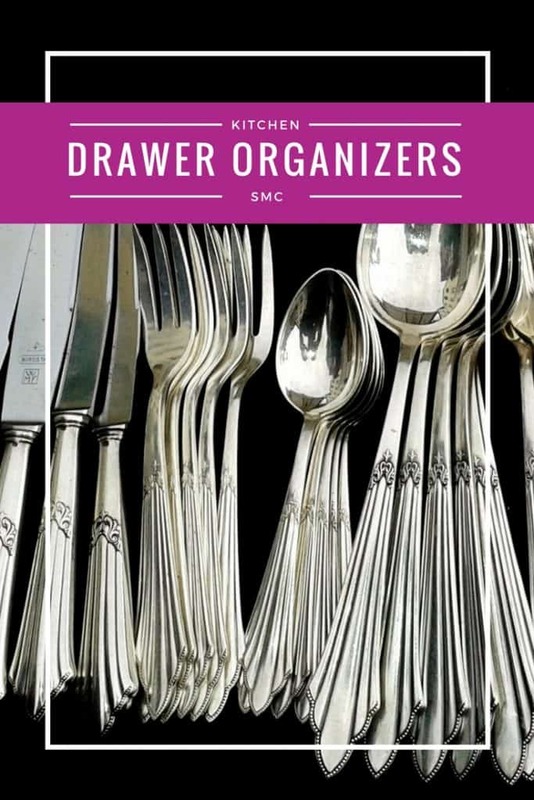 Before we jump in and look at the best kitchen drawer organizers you know the drill, you need to declutter and see what you actually need to organize. Before you start emptying anything take a tour of your drawers. Open them up and have a good look at what’s inside. Do you have a drawer bursting with saran wrap and sandwich bags? Or one crammed with tupperware (with half the lids missing)? 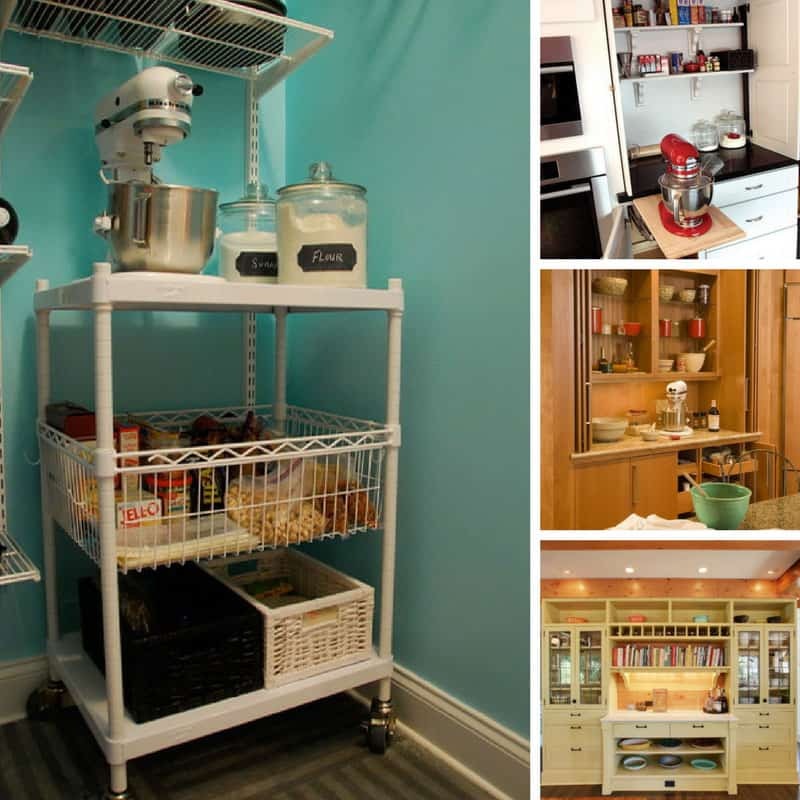 Are your cooking utensils in easy reach of the stove or on the other side of the kitchen? Is your flatware close to your dishwasher (to make it easier to put away the clean items)? Now you have a picture in your head of what’s inside those drawers, and which drawers would be best used for what it’s time to have a declutter. Empty out one drawer at a time (so you don’t get overwhelmed) and think about each item. If it’s broken drop it straight in the trash. If its something you use regularly then make a note to buy a replacement. if it’s in good shape but you don’t use it regularly then drop it in your donation box. If it’s in good shape and missing a piece (like a tupperware pot without a lid) then put it to one side in case you find its partner hiding in another drawer. Of course if at the end of your declutter exercise you can’t find the missing bit it will have to go in the trash! Now vacuum out any lose crumbs from the bottom of the drawer and wipe it out with a damp cloth. It’s not often you get to see the inside of a drawer to clean it. While the drawer is empty now is also the time to insert a decorative drawer liner to make things easier to clean and just brighten your day! If once you’ve emptied all of your drawers and decluttered you have room for everything that needs to go back in then you can skip this step. But if you are short on drawer space have a think about what can be rehomed elsewhere in the kitchen. 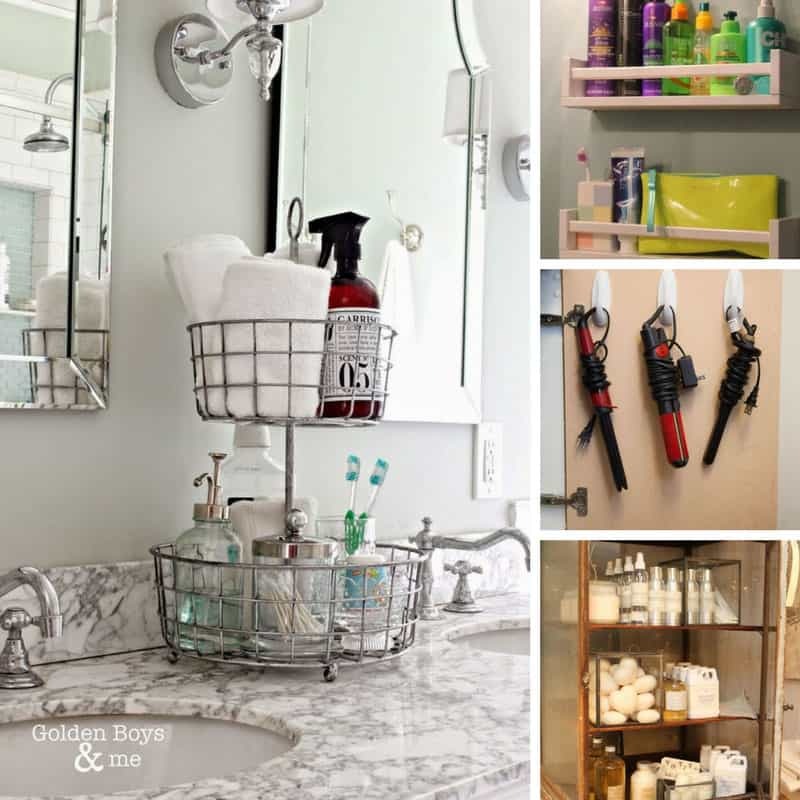 Saran wrap, foil and sandwich bags are easily moved to a wall or the inside of a cabinet door. You can do the same with your cutting boards too. And if you had a drawer cluttered up with plastic bags you can move those to a handy dispenser which keeps them neat and makes them easier to access. And now it’s time to organize what’s left! Once you’ve decluttered and lined your drawers with pretty paper it can be tempting to just lay the items back inside nice and neatly. But in reality your drawers won’t stay neat and tidy for long. 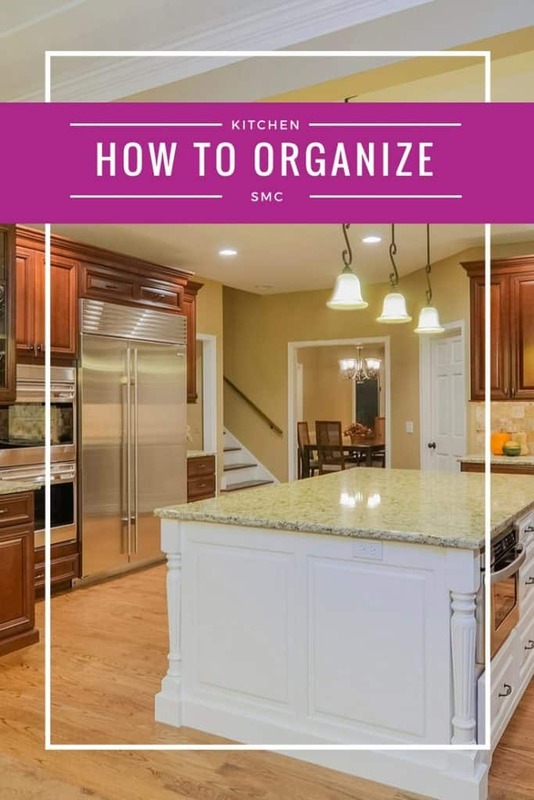 Just by opening and closing the door the items will start moving about inside so you need some organizers and containers to keep everything in its place. Let’s start with corralling the cutlery as that’s the one thing we all have in our kitchen drawer! 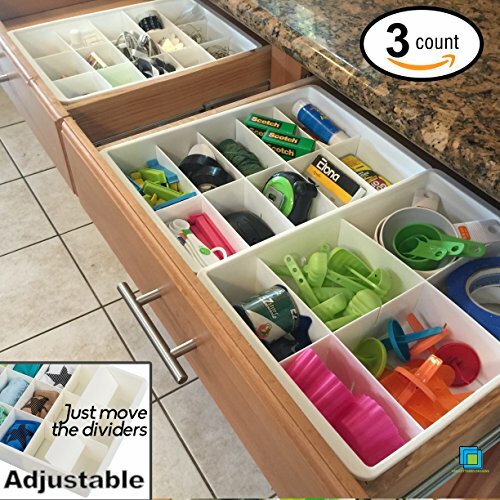 This clever drawer organizer is expandable so you can get a snug fit in your drawer. It’s 18 inches long by 12 3/4 inches wide and then expands out to a maximum width of 19 inches. The organizer itself is two inches deep, and the internal depth is just over one inch. When it’s closed up you have 6 compartments, and then you gain one on each side if you expand it. 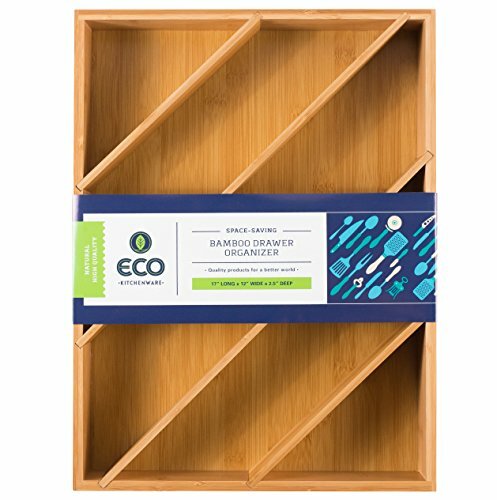 The other great thing about this flatware organizer is that its made of bamboo which is renewable and eco friendly. 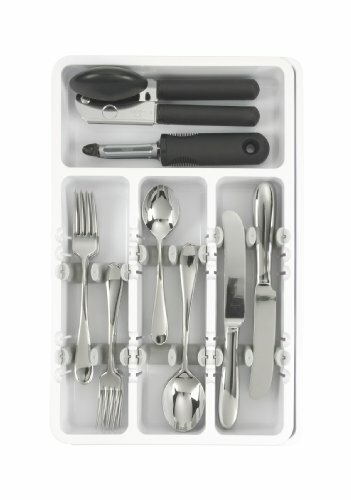 If you have a comprehensive flatware set (with more than one type of fork or spoon) then you need enough vertical compartments to ensure each cutlery type has it’s own slot, and that is what you get with this Rubbermaid tray. It’s made from durable plastic and has non-slip “feet” on the bottom so the tray won’t slide around in your drawer. The slots themselves are textured so your cutlery doesn’t move around every time you open and close the door, this is important if you have high quality stainless steel that you want to keep looking as good as new. The vertical compartments are slightly narrower than in other trays so that the five compartments can fit side by side (click here to see the exact interior measurements) but that isn’t an issue because you’re not cramming all of your different spoons or forks into one compartment. This is one of the best rated silverware trays available and at less than 20 dollars it’s a great price too! Silverware trays are the perfect solution to keeping different cutlery types separate and organized. 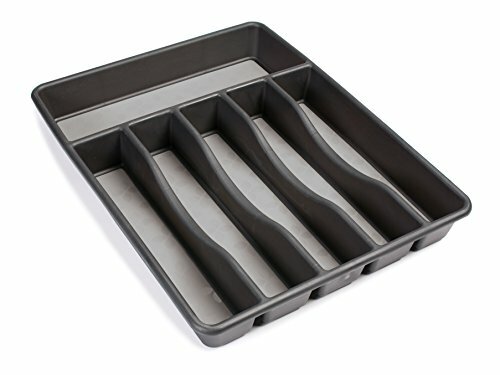 But if you want each individual item to be completely neat and tidy this OXO tray is the one for you. The slim compartments have little grips in them so that your flatware stacks neatly on top of one another and they don’t jiggle about when you open the drawer or pick out some cutlery. You can move the grips up and down within the sections to suit your flatware design. The amount of cutlery you can fit in each section does depend on the design. If you have flat handled cutlery you should be able to fit a twelve piece set in, if the handles are moulded it would be nearer to eight. If your drawer is wide enough there is also a section that expands out from the side which is great for cooking utensils like whisks and spatulas. Just note that this compartment does not have those clever grips in. There are two trays available, the first is 93/4 inches at its narrowest and expands to 161/4 inches. The larger tray starts out at 151/2 inches wide and expands out to 22 inches. You can also choose a white tray or a grey one to suit your decor. Now you’ve got your flatware under control let’s take a look at your other kitchen utensils, like wooden spoons, whisks and spatulas. This expandable tray is designed specifically with those wider utensils in mind. It’s 16 inches long and 2 inches high, and starts out at 13 1/4 inch wide expanding up to 21 1/4 inches wide if you have the drawer space. The narrowest setting gives you three storage compartments and then you can add one on each side as you expand it for a total of five. It has those clever non-slip feet so that it doesn’t move around in your drawer and then the compartments themselves have a molded surface to keep all the utensils still. 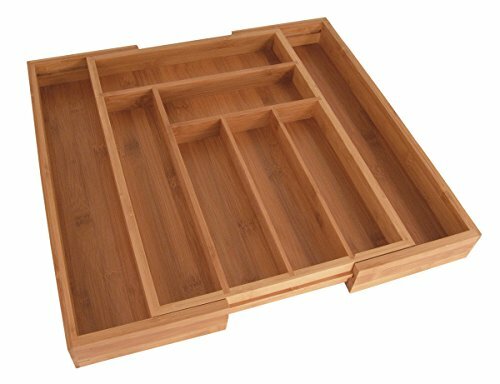 This bamboo drawer organizer uses diagonal slots so that you can store extra long utensils as well as short ones in the same organizer. And to make it even more flexible you can actually remove the dividers to make some of the compartments wider than the others! 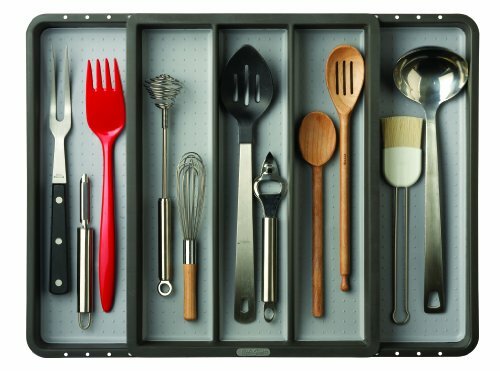 This makes it the perfect organizer for your junk drawer as well as your utensils. It’s 17 inches long by 12 inches wide and 2.5 inches deep and because of the diagonal compartments you can put it in your drawer longways or shortways to get the most use of the space. If you use some of your drawers to store odd shaped items like baking supplies (like piping tips, cutters and measuring cups) or tea supplies (like strainers, pots of leaves and tea balls) or even sippy cup lids and first aid items then check out these plastic boxes with moveable drawer dividers. You get three in set and they measure 13.5 inches long by 9.75 inches wide and 3.25 inches deep. You can use the dividers in different ways to make up to 15 compartments in each box. They’re easy to clean and you can even stack one on top of the other if your drawer is deep enough. These storage boxes are perfect for storing anything and everything that you might keep in your kitchen drawers! I actually prefer them to the modular storage systems like this one because this set gives you much more flexibility over the size of the compartments. And there you have it 6 of the best kitchen drawer organizers to stop things getting in a jumbled mess in your drawers!